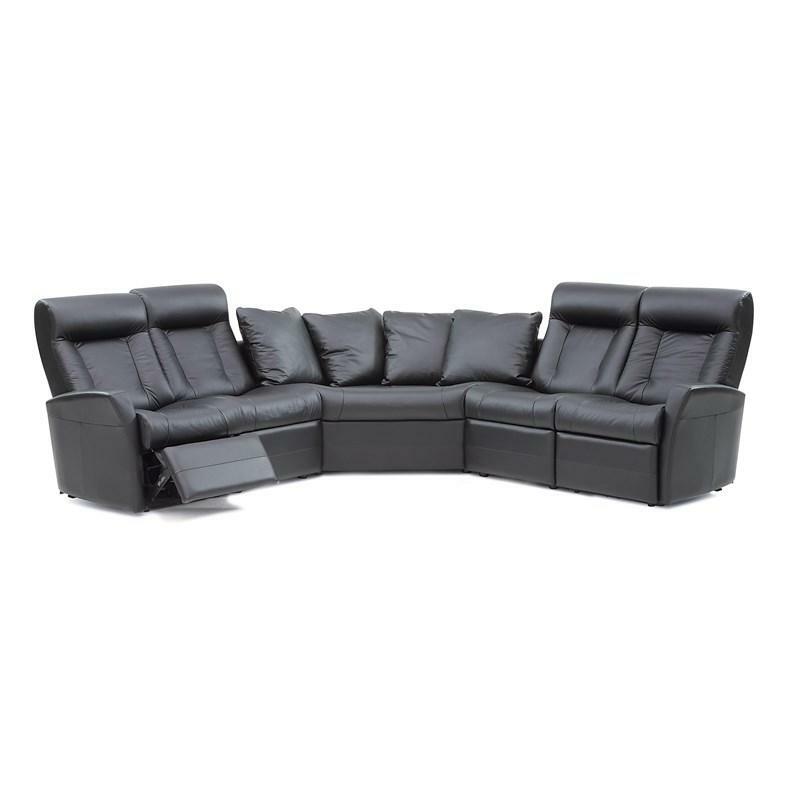 Enjoy watching TV or reading a good book in this sleek and comfortable reclining collection with a contemporary twist. 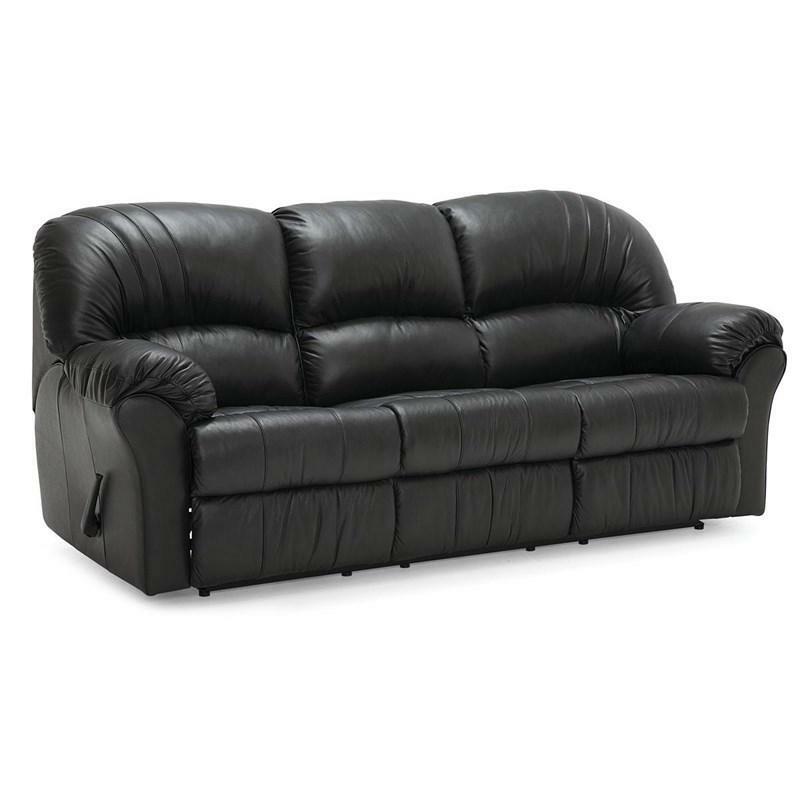 It will fit easily in today's décors with its multiple fabric and leather choices and will provide all the comfort in the world with the many reclining options available. 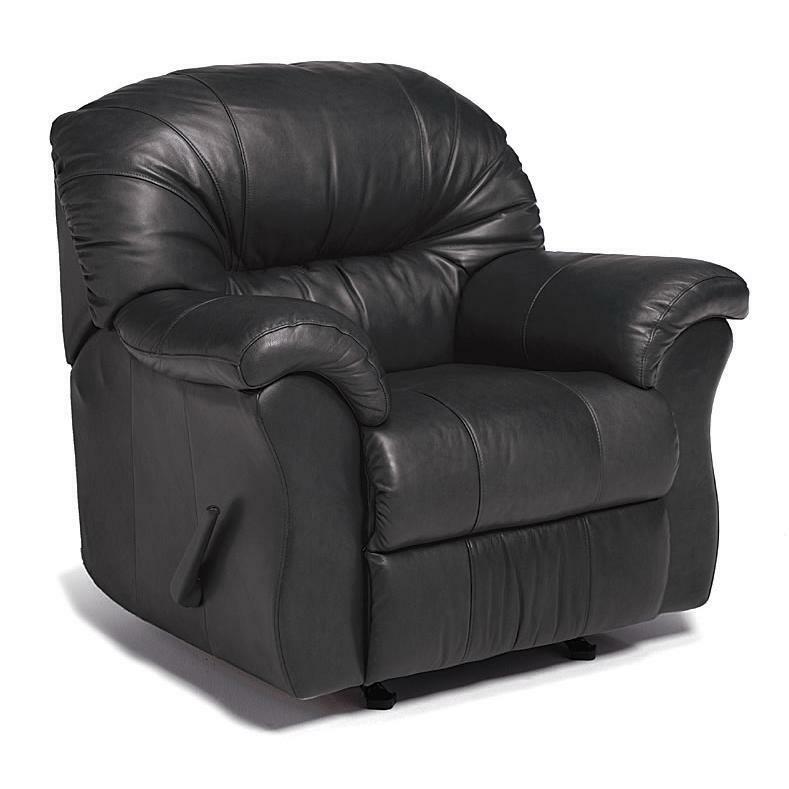 The Meadowridge Chair from Palliser Furniture is made with a leather cover featuring a broadway onyx color. 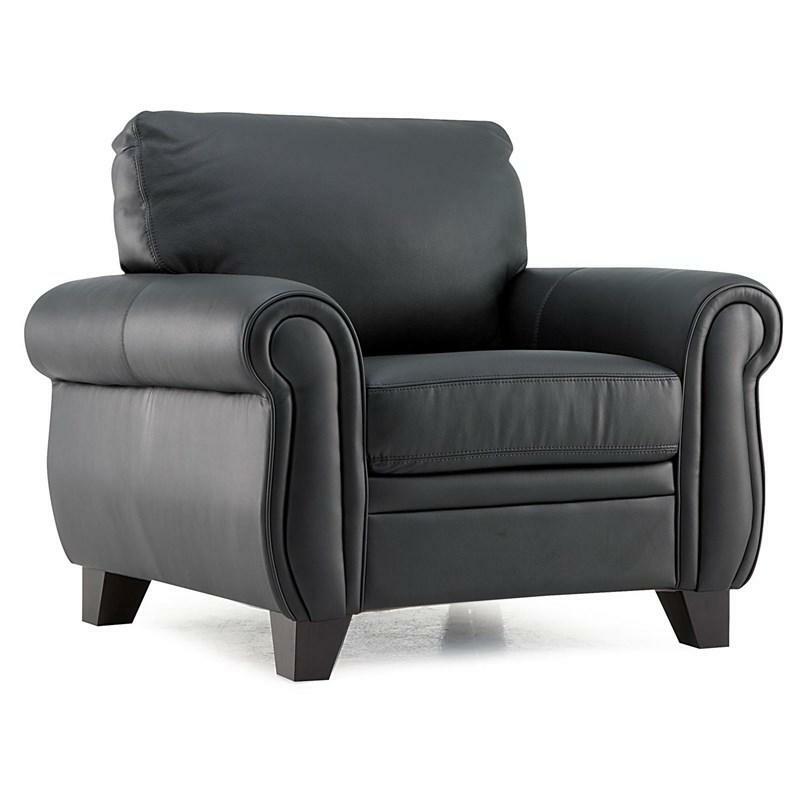 This chair features tapered wooden feet and rolled styled arms.